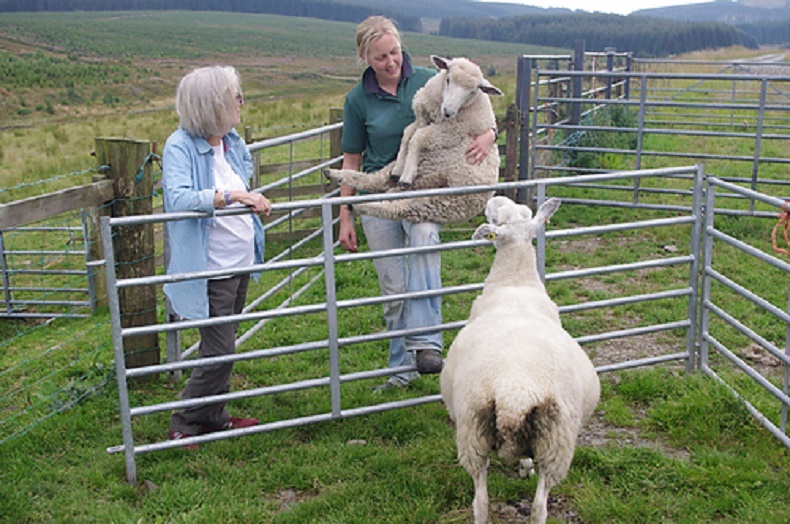 Yesterday Kate Graham talked about the successful sheep sponsorship scheme she ran this year. Having read the sponsorship thread on the Shankend Farming group on Ravelry and seen the sponsors excitedly chatting about their sheep and fleeces Louise asked for some of the fleece fosterers to talk to WOVEMBER about their experiences of the scheme. Working with fleece that the sponsor knew the exact provenance of seemed to be really important to many of those in the Shankend sponsor thread. Added to their four newsletters there were regular updates in the forum and could even visit the farm – this added a really personal touch. It seemed like a fun thing to do, and I liked the idea of spinning fleece from a specific, known sheep that the children and I got to choose (and in our case name). I was interested in the fleece, which is why I did a bit of research before choosing the breed, but I was also interested in finding out about the farm, the animals and how much hard work goes into it. It seemed like a good way to let the kids learn too, and I plan to add the experience to my stock of lesson plans (I teach fibre crafts locally). I love sheep and have no possible way of keeping my own and to me this is the next best thing…I have had emails and pictures and can ask Kate any questions at any time regarding my sheep. I think this forum has been a real eye opener on just how hard a sheep farmer works and how much of a struggle livestock can be. The email bulletins had specific updates on Speedwell, my sponsored Hebridean, which I particularly enjoyed. I’d love to visit one day. Really enjoyable experience, I have processed lots of “local ” Shetland fleece and wanted to compare fleece from Up North with our local Somerset type. 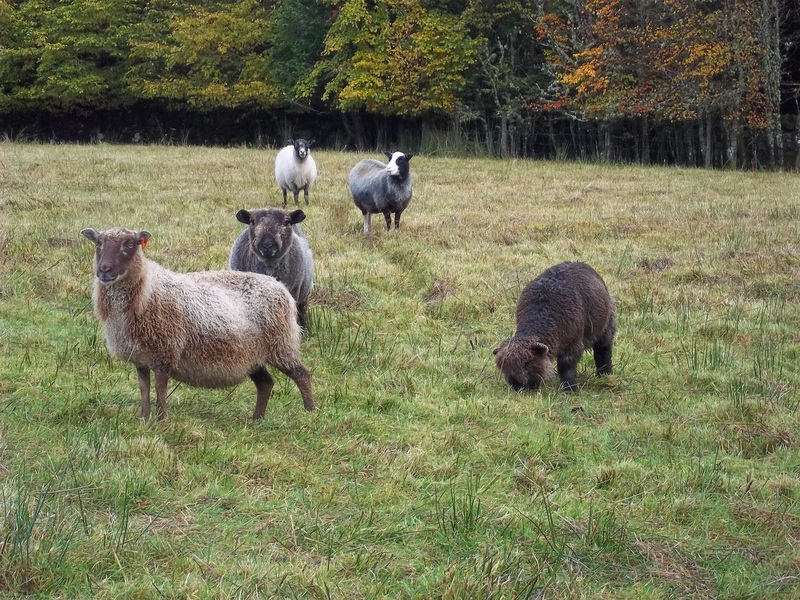 There is a big difference between them, with fleece from Nimue, my sponsored Ewe being very much softer, possibly because of the colder weather conditions and different breeding. I do love hearing about all the trials and fun of running the farm. We visited in early September to collect their fleece and we had a lovely time with them as Kate had kept them nearby for our arrival. They were both friendly and had started life as pet lambs on another farm. They came to Kate together so it was nice to have that connection. For some of the sheep sponsors this was the first time they had spun raw fleece or had even attempted to spin before – undoubtedly drawn to the uniqueness of the project and the chance to follow the wool journey. While others had plenty of spinning experience some had chosen breeds that were new to them to spin with. One thing that was also clear was that Kate had put a lot of time and care had gone into prepping the fleece before sending it out. 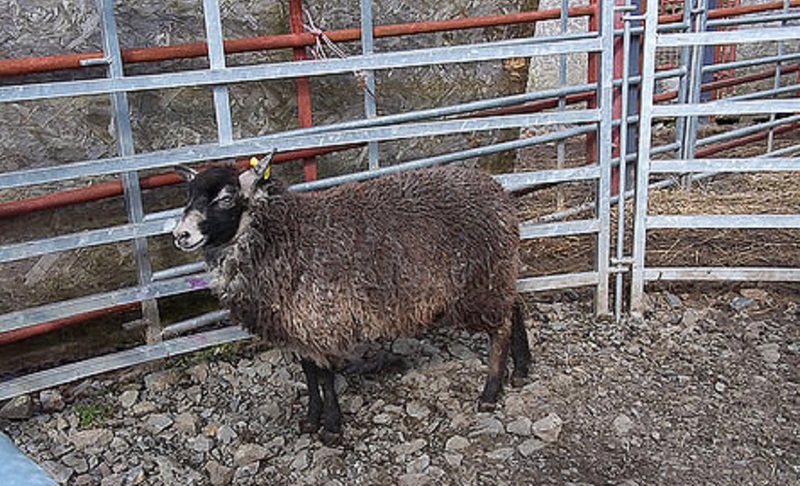 I bought two fleeces from Kate in 2013, a numbered rather than named Hebridean hogg and a Herdwick. I really enjoyed choosing them from the sheep photos she sent and knowing their provenance added a real buzz of connection…I was thrilled to bits with this year’s parcel, which arrived a couple of days ago. The fleeces were beautifully clean and tidy. They are washed and packed in pillowcases but as yet I have not spun them. Most amazing tidy fleece , very well skirted no vegetable matter and beautifully presented. 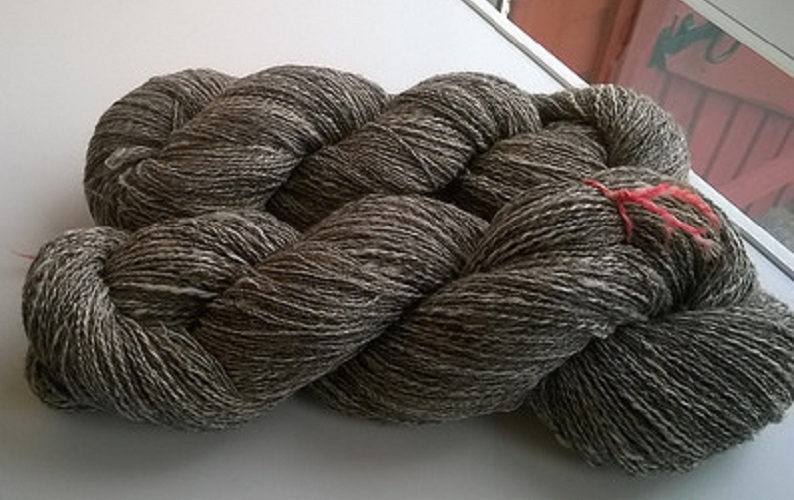 I have spun fleece for others who are not spinners but wanting to sponsor a sheep. Had not already been a spinner this would have made me want to learn to spin. I sponsored a Shetland Hogg from Kate this year and my fleece has now been spun and ready to be shown in the Royal Highland Show in 2015, so I hope I have done the beautiful fleece justice as it was a joy to spin. What I really like about the scheme is that it has created interest in fleece and spinning in knitters who had not previously interacted with wool in that way. How amazing that other members of the Shankend sponsorship scheme have been so generous with their skills to wash, prep and spin the yarn for those who have less experience? See the woolly-spinny-knitty community grow with shared and new skills! I am glad to hear that Kate is going to continue with the scheme which gives such colour and insight into wool work. In turn making people more knowledgeable about each step of the process from sheep to finished knitted item, and spurring on more people to try preparing and spinning their own fleece. Thank you so much to the Shankend sponsors for sharing their experiences and their photographs. It must be inordinately satisfying to know the journey that your wool has taken before you received it.